Sanskrit Name Lakshmeesh (लक्ष्मीश) literally refers to a prosperous person. Author Vopdeva (वोपदेव) has used Sanskrit word Lakshmeesh in his writings as another name of Lord Vishnu as he is Lord of Goddess Lakshmi. Lakshmeesh is also mentioned in the writings of Horace H. Wilson where Lakshmeesh signifies a prosperous person. Mention of this name is also found in various Epics of Hindu mythology as the name of several people. 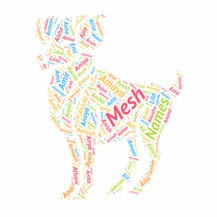 Lakshmeesh is a not a popular name in India. However, it is adopted by less than 45 people in India as the name of their babies. Lakshmeesh is not a popular name in the USA. 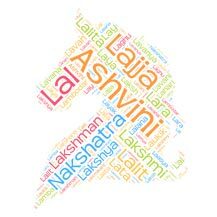 Lakshmeesh is a wonderful and beautiful name. Lakshmeesh also has a great meaning attached to it. Lakshmeesh also has great mythological significance in Hindu mythology. Lakshmeesh Pathrike is daily Newspaper. Sanskrit name Lubdhaka means hunter, covetous or greedy man..
Sanskrit word Yugal (Sanskrit युगल) literally means pair, co..
Giri is an ancient Sanskrit word which literally means rock ..
Means "supreme, paramount" in Sanskrit. Anish is <a href='.. The girl name Vaishali is derived from Sanskrit. It means "t..
Mansi (in Devanagari: मानसी) is a Hindu feminine given name ..
Suma literally means Flower in Sanskrit. And feminine Suma स..
Hrsita means happy, cheerful, thrilled, fresh in Sanskrit. T..